From Kotobukiya, a completely new design illustrated by Shunya Yamashita, this heroine from DC Comics returns after 7 years! 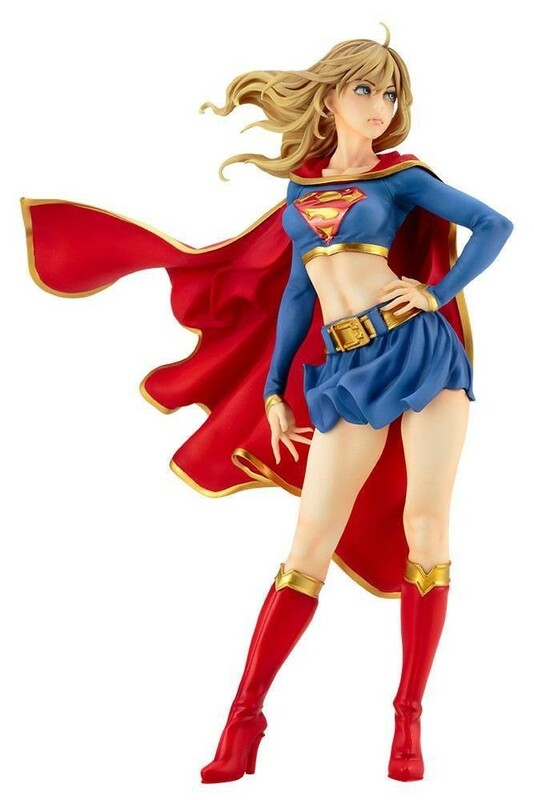 Supergirl is faithfully replicated from Shunya's illustration into a highly detailed sculpt by ke (comaccow). Supergirl poses confidently with her hair and cape flowing along with the wind while showing off her lean muscles.